Champfer 3 km from St. Moritz: Apartment block "Corvatsch", 4 storeys. In a quiet, sunny position. In the house: washing machine (for shared use, extra). 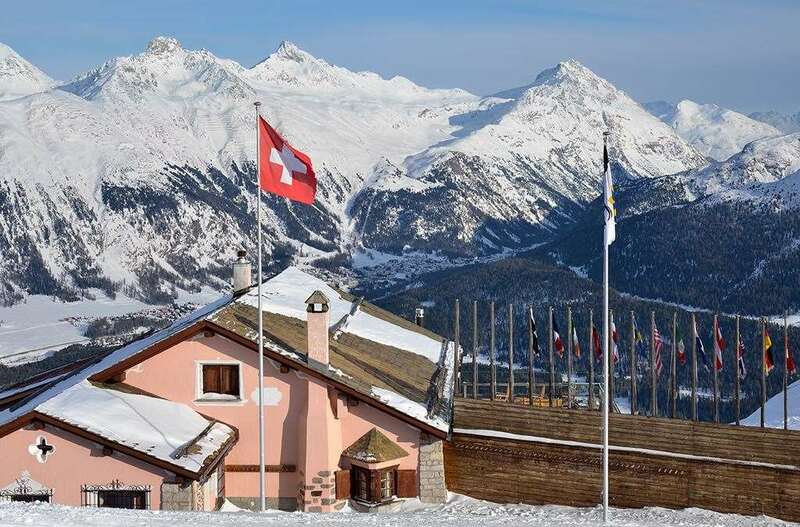 Grocery 250 m, restaurant, bus stop 100 m. Chair lift 1.5 km, gondola lift 3 km, cross country ski track 300 m. "Apt.111", 1-room apartment 30 m2 on 1st floor. Partly renovated in 2009, beautiful and cosy furnishings: living/sleeping room with 1 bed (160 cm), TV and flat screen. Exit to the balcony. Small kitchenette in the entrance (2 hot plates, oven, microwave, grill, electric coffee machine) with dining table. Dining table. Bath/WC. Balcony. Terrace furniture. Facilities: Internet (WiFi, free). Reserved parking space n 111. Please note: non-smokers only.